Some interesting purchases were made in May of 2016. All the TFs that appear below come from different toylines in the TF-verse. And each was acquired from a different source. Let’s take a look. Blaster and Perceptor are two figures I have always wanted back at the height of G1. They made frequent appearances in the show, and they both had enough personality to establish themselves as popular characters in the TF fandom. Both characters also had significant supporting roles in the G1 Movie (and they both lived through the G1 Movie, which is saying something). Growing up, I have only seen the Perceptor toy in pictures. Neither myself nor any of my friends had the figure. As for Blaster, I knew one kid that had the toy, so I have played with it a bit. As an adult collector, I already have two Perceptor re-issues, both a US version and a Japanese version. 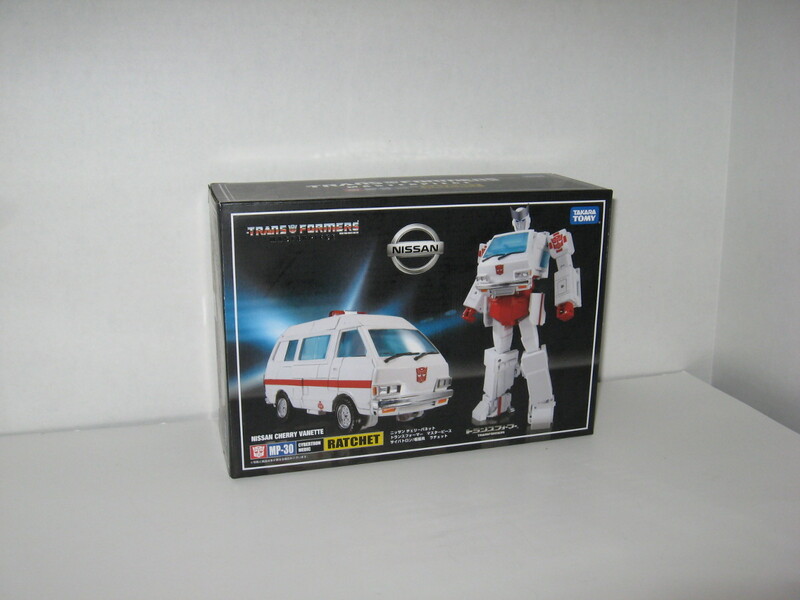 As for Blaster, I have one re-issue as well, the 2010 SDCC Exclusive version. All of these re-issues I have in mint condition, never opened. And because of that, they are worth quite a bit of money. I’m never going to open them now. 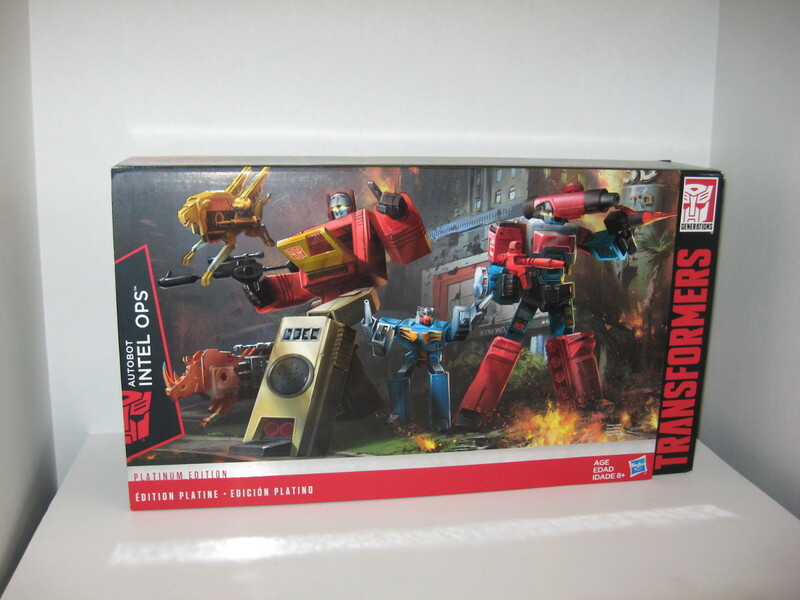 And so I bought this Autobot Intel Ops set with the intention of actually opening them and playing with them. However, once I have this set in my hands, I’m thinking I won’t open this either. Seriously, this set looks so awesome in the box! With the front box flap raised up and looking at the entire set of goodies inside, it is quite an impressive sight to behold! Both Blaster and Perceptor are in their robot modes, along with 3 cassettes (Eject, Ramhorn, and Steeljaw) and all their accessories, all sitting perfectly packaged in the box. And what a deal! I got all this goodness for a mere $52 from an Amazon seller. I first saw this set back in Oct of 2015 at Target, but it was being sold at retail so I passed on it. I should have took a pic of this goodness. Maybe for another post. Combiner Wars Wreck-Gar is a repaint of the Protectobot legend Groove figure. He may have a new head mold, but my memory on this fig is iffy. For the most part, he’s a straight up repaint. He’s quite rare, which is the only reason I got him. I think I only saw him one other time after this purchase. The fig itself is OK, not great. 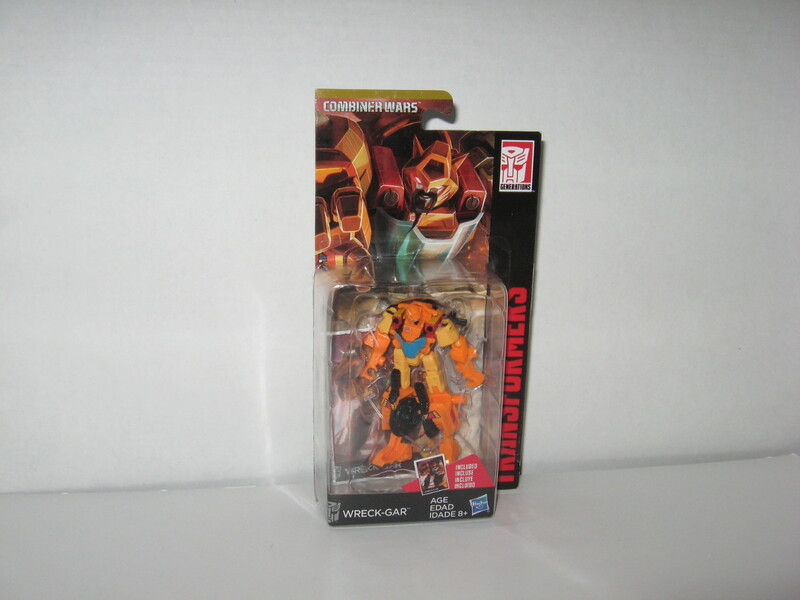 Buy him if you are a fan of Wreck-Gar, but pass otherwise. Poor Starscream. He’s the lone Decepticon this month. 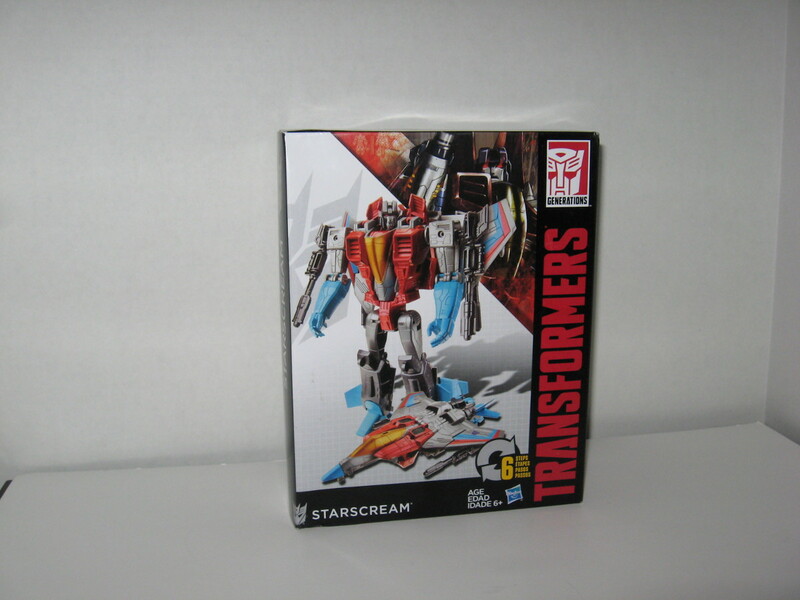 I outlined my purchase of Cyber Battalion Starscream back in this post, so I won’t repeat it here. At the time of purchase, I did not know about this Cyber Battalion line. It appears this line never made it to the States. That’s a shame. I wish I bought the other figs in this line when I got CB Starscream in Shanghai. Last but not certainly not least, we have Masterpiece Ratchet. This is the 4th Masterpiece figure in as many months. I have opened the box, but to this day I still not have taken the figure out of the box. I only opened the package to make sure all the contents are inside. My buddy Gemini got one where once piece was missing. 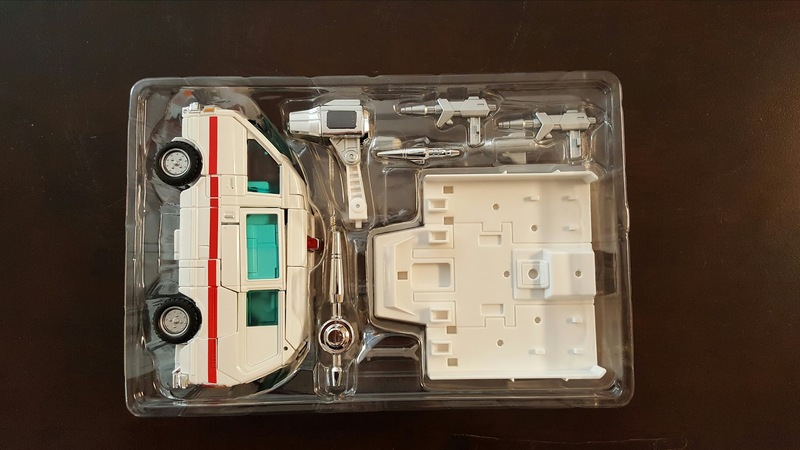 Take a look at MP Ratchet in the package below. I’m gonna assume MP Ratchet is every bit as impressive as MP Ironhide. I give the Ironhide the highest possible recommendation, and I expect Ratchet to be just as good. I plan to spend some time with Ratchet real soon, and I will give my final thoughts in a future post. But seriously, I will be real surprised is he’s somehow inferior to Ironhide in any way, shape, or form. No third party items were acquired this month, but some good ones will be presented next month. So stay tuned. Transform and Roll Out.